Ottawa's source for Soma frames, parts & accessories: Tall Tree Cycles! A bike made with Soma is practical, durable, comfortable and affordable. … these are the primary forces shaping the company’s ideology … and it’s approach to making ‘real’ products aimed at the everyday cyclist. A roomy riser bar with about 25° of backsweep for a natural wrist position. Offers comfort without sacrificing hardly any control. Dream Cycle Vancouver helped us design this model. They wanted to replicate something close to bars found on MTB bikes of the early 80's. Recommended for bikepacking and touring. 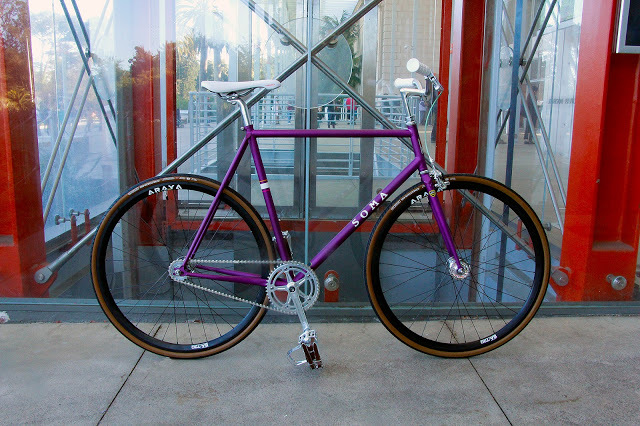 Soma works with local bike shops, similar to Tall Tree - and listen to ideas pitched their way. That results in innovations - like a better tire lever, water bottles that don’t taste like plastic, and steel frames that have people smiling from the commute to the singletrack. Fun is not complicated. Why should their frames be? 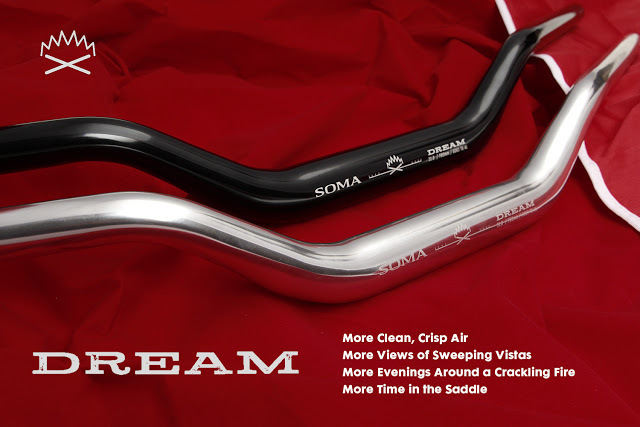 Soma doesn’t do “weird geometries,” just what they’d want to ride. As for colours and graphics, Soma makes a conscious choice to avoid “race-inspired” billboard-style logos. They say this makes it “easier for folks to cover them up with stickers and chewing gum. Steelwool by Tall Tree Cycles: Ottawa’s finest custom steel bikes.